Did you know that sloths sleep approximately 15-20 hours a day, are the slowest mammals on earth, and have evolved over time to do less? There’s no doubt that we have a lot to learn from the slumberous sloth. Its slow mesmerizing movements are enough to inspire calm and perhaps even a yawn or two. 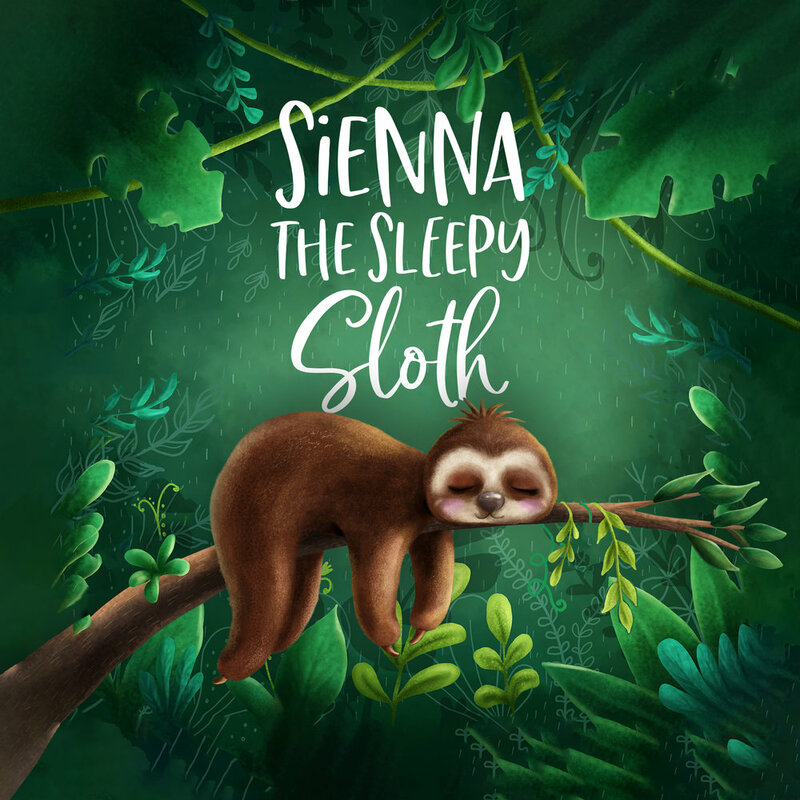 We’re so in awe of the easeful ways of the sloth that we created a Sleep Story called Sienna the Sleepy Sloth, playfully narrated by the actor and comedian, David Walliams. After creating this story and learning more about sloths we felt moved to make donations to Aiunau and Zoomagination, two amazing organizations that are protecting the health and wellbeing of these gentle creatures. Trees are their happy place. The sloth spends over 95% of its life high up in the trees of Central and South America. They only come down to earth to go to the washroom. And in case that wasn’t already too much information, they only go to the washroom once a week. They have very little power in their back legs so this bathroom trip leaves them quite vulnerable to predators as they drag themselves across the earth. They move slow and digest even slower. It can take them almost a month to digest that leaf they ate for dinner. Some sloths will occupy several trees in their lifetime, while others may spend their entire life in the same tree. Sloths are amazing swimmers. They move 3 to 4 times faster in water than they do on land and can hold their breath under water for up to 40 minutes! Sloths can rotate their heads 270 degrees! Because of the sloth’s slow speed, green algae actually grows on their fur. Their backs become home to a complex ecosystem housing a variety of organisms including moths, beetles, cockroaches, fungi and algae. This algae lives symbiotically with the sloth, providing the algae with a safe, wet place to grow and the sloth with a camouflage. It has been discovered that this species of algae is not found anywhere else and could even play an important role in battling certain parasites, cancers and bacteria. There are two different types of sloths, two-toed and three-toed, and six species. The pygmy sloth is critically endangered and the maned sloth is vulnerable. We hope these facts and our Sleep Story help to inspire joy, awareness, and respect for the rights and welfare for all animals everywhere. AIUNAU is a non-profit foundation committed to the wellbeing, rehabilitation and conservation of sloths. They rehabilitate wild animals that are the victims of illegal traffic, mistreated and/or injured. Their final goal is reintroduction of the rehabilitated animals to their natural habitat. Zoomagination is an animal rescue organization which rehabilitates and takes care of abandoned animals. They have provided a home for two beautiful sloths.